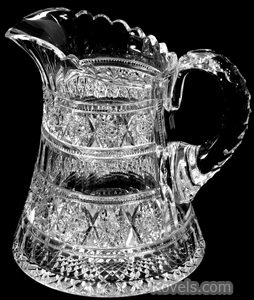 Cut glass has been made since ancient times, but the large majority of the pieces now for sale date from the American Brilliant period of glass design, 1875 to 1915. 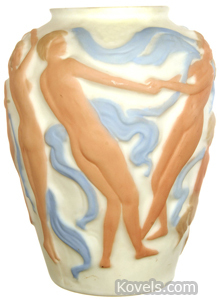 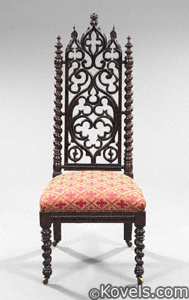 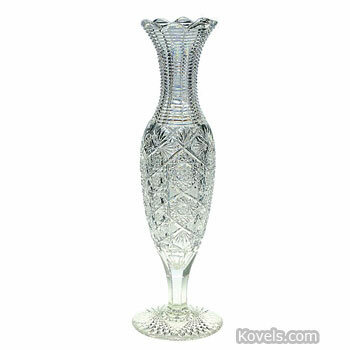 These pieces have elaborate geometric designs with a deep miter cut. 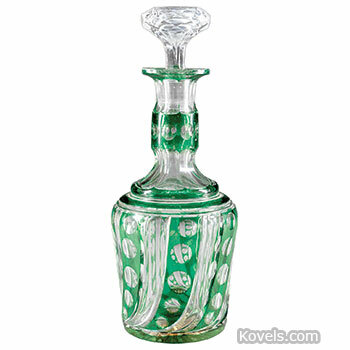 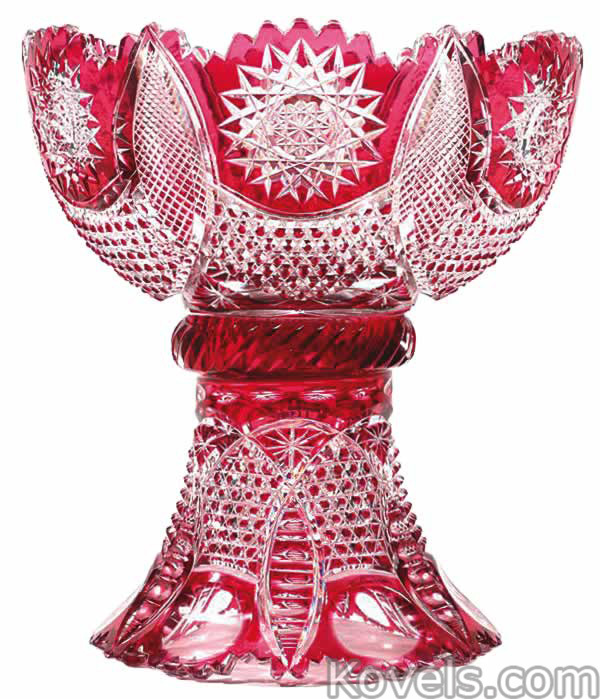 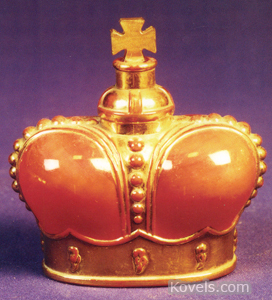 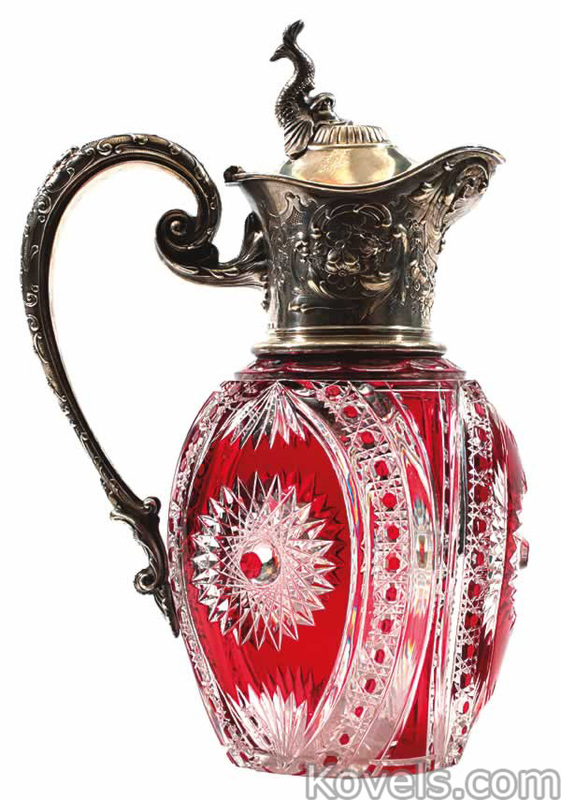 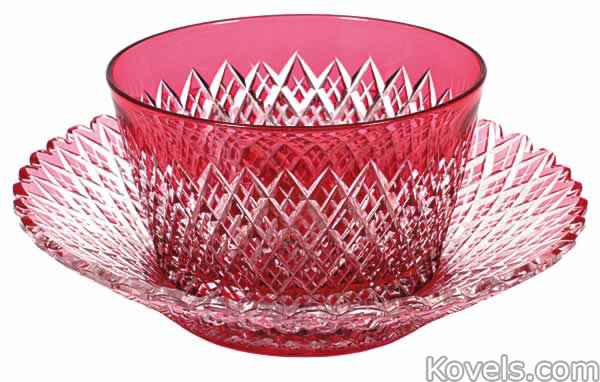 Modern cut glass with a similar appearance is being made in England, Ireland, Poland, and the Czech Republik and Slovakia. 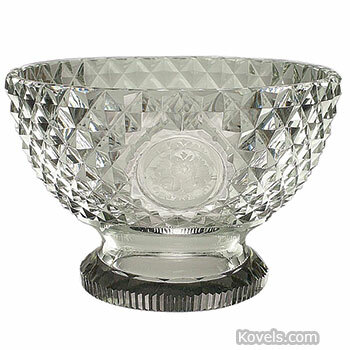 Chips and scratches are often difficult to notice but lower the value dramatically. 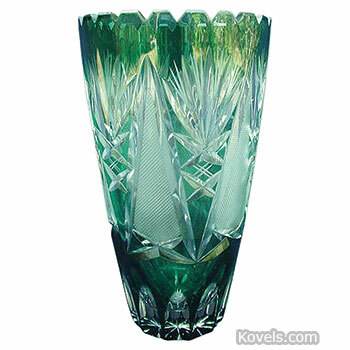 A signature on the glass adds significantly to the value. 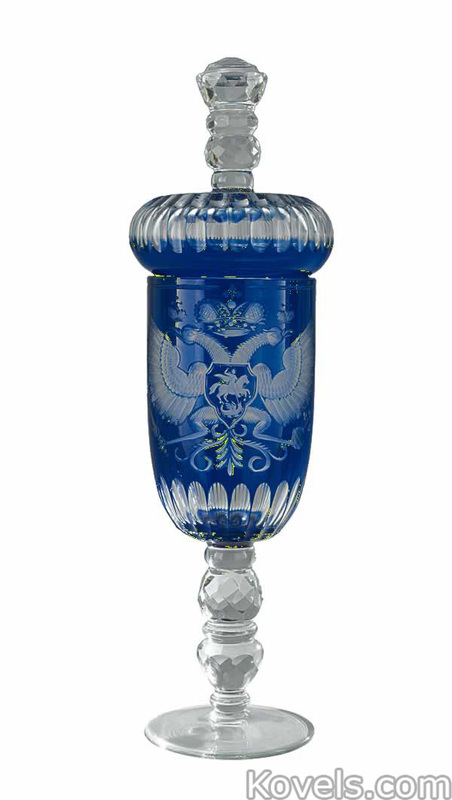 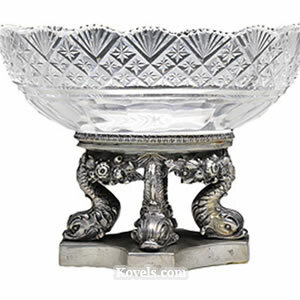 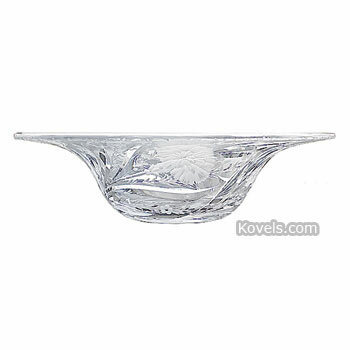 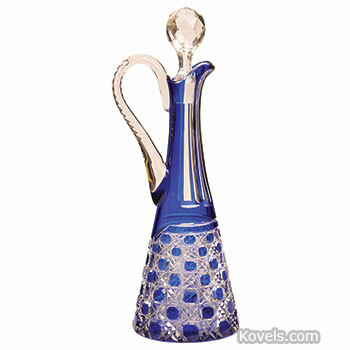 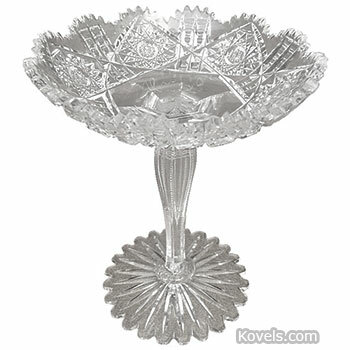 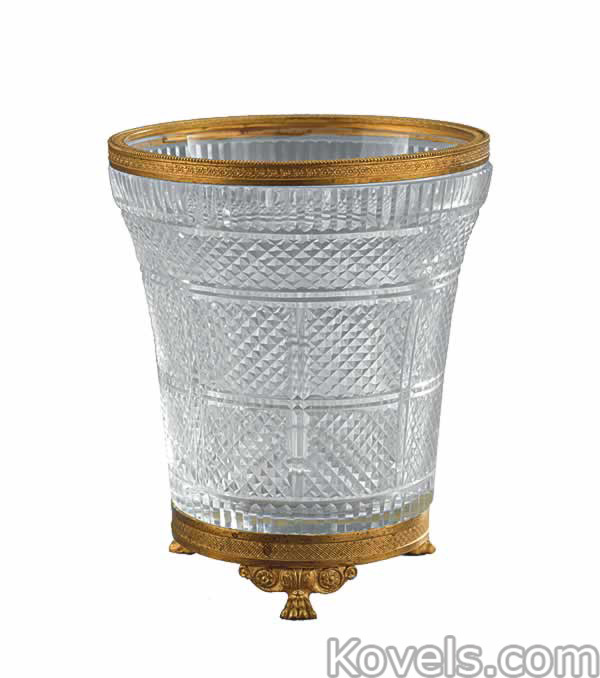 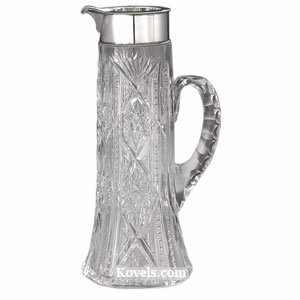 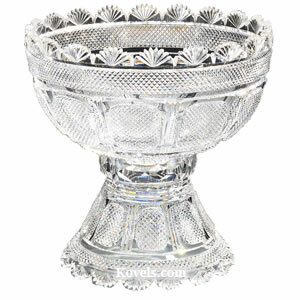 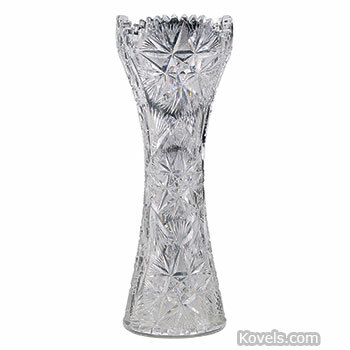 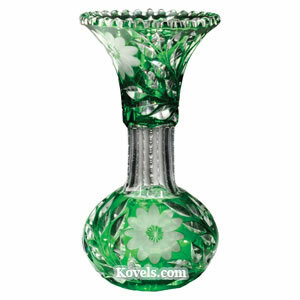 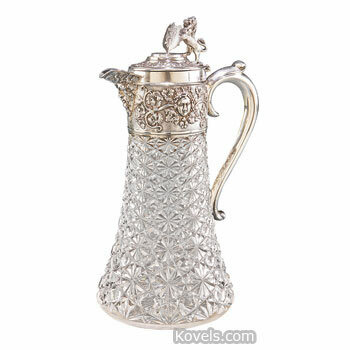 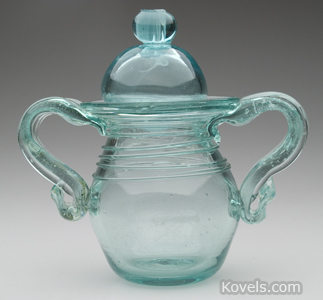 Other cut glass pieces are listed under factory names, like Hawkes, Libbey, and Sinclaire.